A New Source of Inspiration? 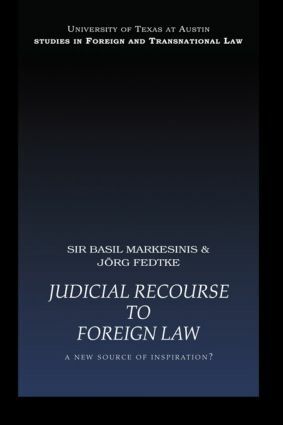 Accessible and clearly structured, this is the first book to include examinations of public and private law in the discussion about access to foreign laws. With commentaries by an international collection of leading judges in the field, it looks at the practice in a range of countries spread across the globe. looks at the practice in America, Canada, England, France, Germany, Italy, Israel, South Africa and at the European Court of Justice. Ideal for practitioners and academics, it is an essential read for those working in or studying jurisprudence at undergraduate or postgraduate level. When should such dialogue take place?